David S. Gibson, Jr. was appointed to Family Court on Nov. 20, 2018, by former Nevada Governor Brian Sandoval. 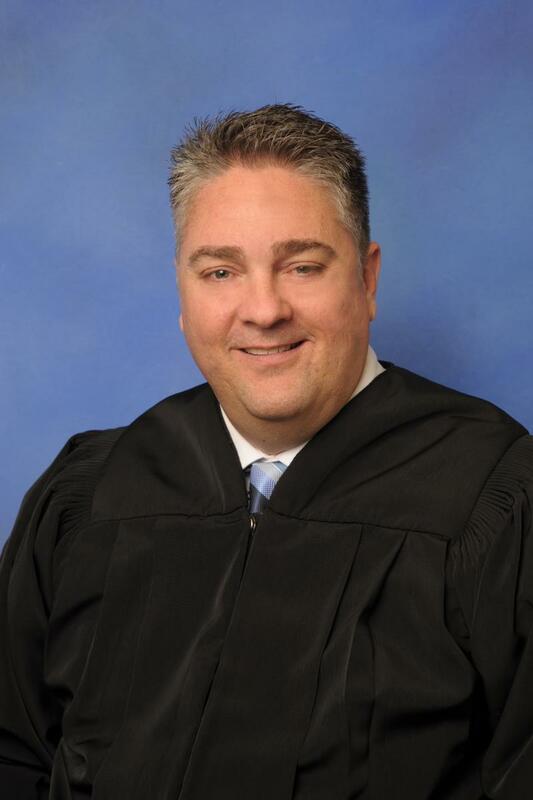 Prior to his appointment, Gibson worked for six years as a juvenile dependency hearing master in the Eighth Judicial District Court’s Family Division. Governor Sandoval noted Gibson’s experience in Family Court when announcing Gibson’s appointment. “David has worked with the current sitting district court judges in the Eighth Judicial District, and I am confident that his experience and understanding of family court cases will serve him well in this new role,” said Sandoval. Gibson is a graduate of the UNLV Boyd School of Law, and was admitted to the State Bar of Nevada in 2002. Prior to becoming a juvenile dependency hearing master, he worked for several years as a solo practitioner as well as for the firm of Mills & Mills and Rands, South & Gardner. Gibson is a lifelong resident of Henderson, Nevada. He is an Eagle Scout and has held several positions of leadership and service in his Church, including serving a full time mission for the Church of Jesus Christ of Latter Day Saints, in Capetown, South Africa, 1993 to 1995. Gibson also serves as a member of the Board of Directors for Las Gaviotas Foundation, a non-profit organization providing funding for post elementary education for children in Guatemala, Mexico and Peru. On a personal note, Gibson is a former football player, an avid Rugby fan and currently holds a black belt in Chun Kuk Do Karate and a blue belt in Brazilian Jiu Jitsu. He also enjoys tabletop gaming, reading and travel. Pursuant to EDCR and prior notice to the Court, appearances may be made telephonically for some calendar matters; attorneys and parties should contact Department L Law Clerk at: 702-455-0168 regarding the appropriateness of a telephonic appearance, and may timely fax their requests to: 702-382-4239. No party may appear telephonically for hearings on pending contempt allegations. Telephonic appearances at trial and evidentiary hearings are rare, and require a stipulation and a Court Order. Does your Department grant unopposed Motions in advance of the hearing date? Rarely. Does your Department permit Zoom Orders? Yes, on timely unopposed Motions to Withdraw without an attendant request for reduction of fees. Fee reduction requests will be entertained only where the retainer agreement contains a clear clause granting Family Court exclusive jurisdiction to summarily do so, or where this Court has signed an Order to Show Cause submitted by counsel, properly served and advising the party who allegedly owes attorney’s fees that if they do not appear at the hearing and object to the fee request, absent a written objection, the Court will take non-appearance/non-opposition as consent to jurisdiction relative to the relief requested. Does your Department require a JPI to be a Court Order to be enforceable? No. JPI will be enforceable without a separate court order. Name Changes for adults? No unless there are issues that would disallow a summary disposition. Name Changes for juveniles? Yes, unless both parents have consented or proper service and default issued and no issues that would disallow a summary disposition. Final custody Orders? Sometimes; if Defendant was not personally served with complaint and summons, hearing will be necessary. Summary Divorce? No, not where submitted by summary disposition or through a Joint Petition. District Court Department does not entertain dueling orders. If attorneys submit dueling orders, we discard both orders and prepare the order ourselves. If an attorney refuses to sign an order, the submitting attorney can provide their order without opposing counsel's signature. However, the attorney must provide proof that they sent the order to opposing counsel and gave them seven days to review and sign off on the order. Then if the order matches the minutes it will be signed. If not, the clerk will send back with instructions on what needs to be addressed prior to the judge signing the order. District Court Department L does not require an original on orders. Orders can be faxed, emailed, or dropped off to the department but attorneys need to pick one method so we don't receive duplicates. Electronic signatures are not favored; however, they are accepted where they appear valid. Is your Department available for telephonic conferences with counsel? Yes. What are some of the circumstances in which your Department will engage in a telephonic conference? Where the Court has had a duly noticed hearing and therein ordered that a conference a telephonic conference will be entertained if there remain “loose ends” attendant to the prior issues. Telephonic conferences are not set where either side is unrepresented by counsel. Does your Department stack trials? Yes; rarely are firm trial settings given before the Calendar Call, which is generally held two (2) weeks prior to the date set for trial where a firm date is given.